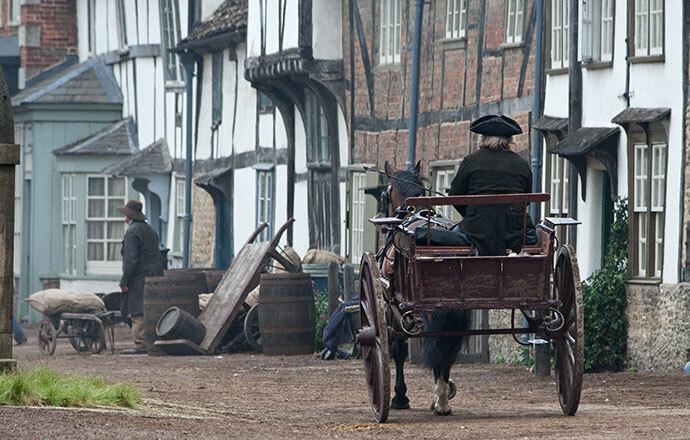 While driving to Bowood House in April during Number One London’s Georgian Tour, I realized that we were very close to the historic village of Lacock, the time capsule village that has remained so historically correct, it’s become a favourite of film and television production companies. 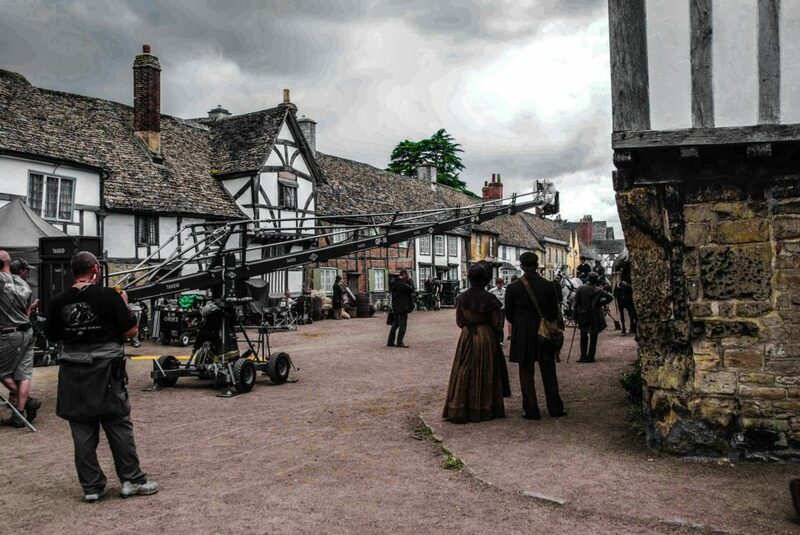 The village has been used as a location many times, notably for the 1995 BBC production of Pride and Prejudice, the 2003 mini-series The Mayor of Casterbridge and the 2007 BBC production of Cranford. It has also made brief appearances in the Harry Potter films Harry Potter and the Philosopher’s Stone and Harry Potter and the Half-Blood Prince, and in the spin-off film Fantastic Beasts: The Crimes of Grindelwald. 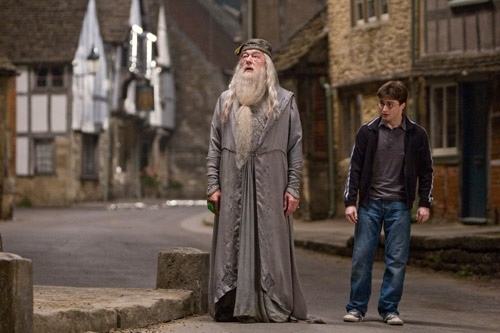 In the spring of 2012, it was a filming location for the fantasy adventure film Mariah Mundi and the Midas Box. 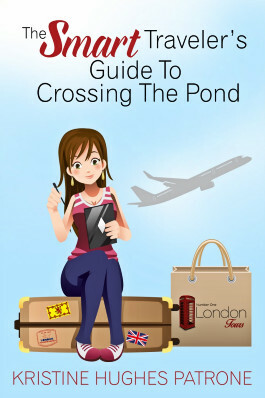 In 2015 it was used for a series of Downton Abbey episodes. 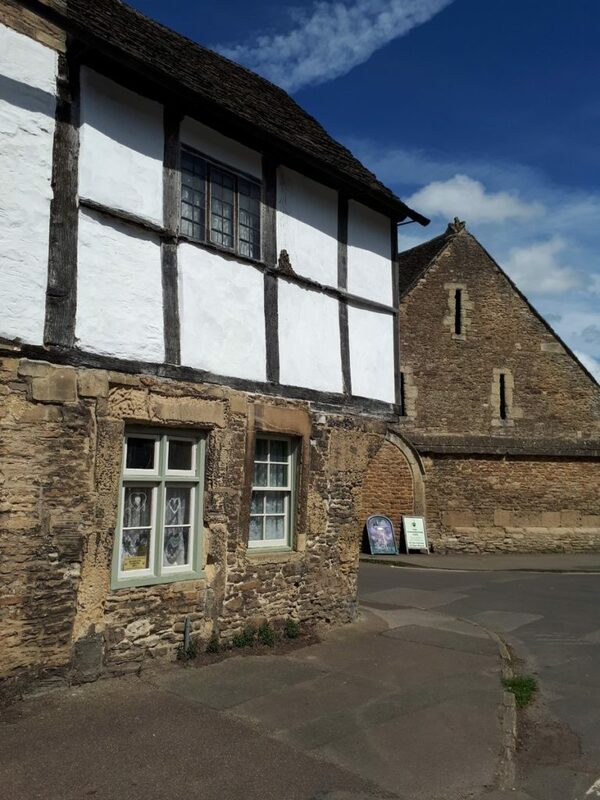 Of course, I quickly made the executive decision that we would stop at Lacock for lunch and a browse after we’d done with Bowood House. 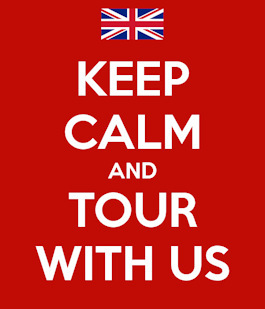 It may not come as a surprise that none of the tour group objected to this last minute addition to the day’s itinerary. Lacock is a village in Wiltshire, near Chippenham, and is almost entirely owned by the National Trust. It regularly attracts visitors due to its unspoiled appearance. 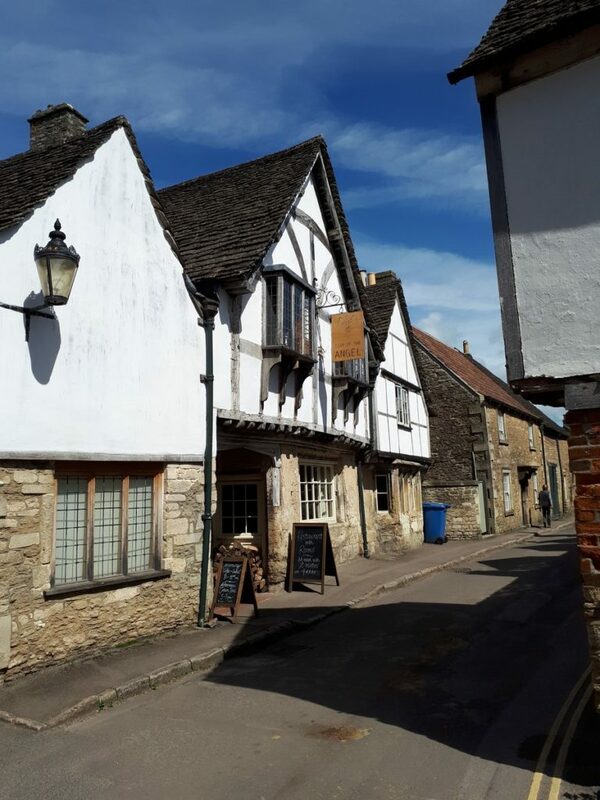 Lacock appears in the Domesday Book and most of the surviving houses were built in the 18th century or earlier. 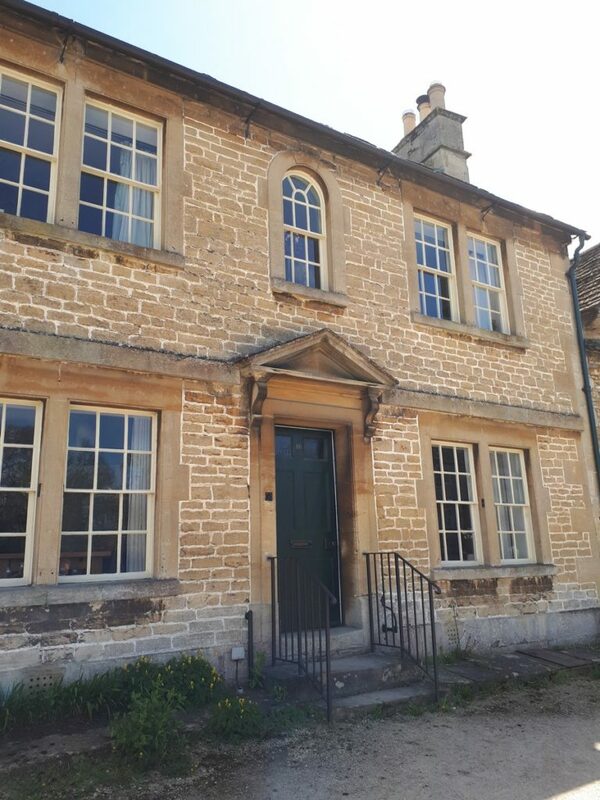 The National Trust has taken care to ensure that the historic buildings and streets are preserved and appear just as they would have centuries ago. 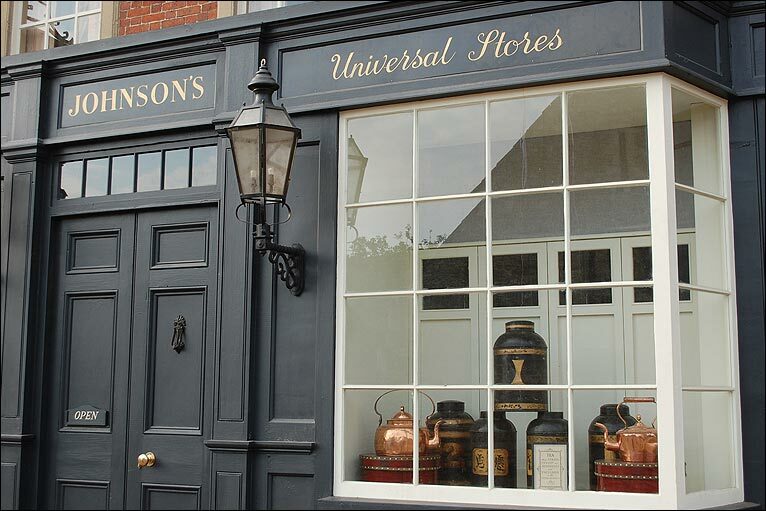 Frozen in time, the town has become a go-to set for directors and producers of period films and television shows. 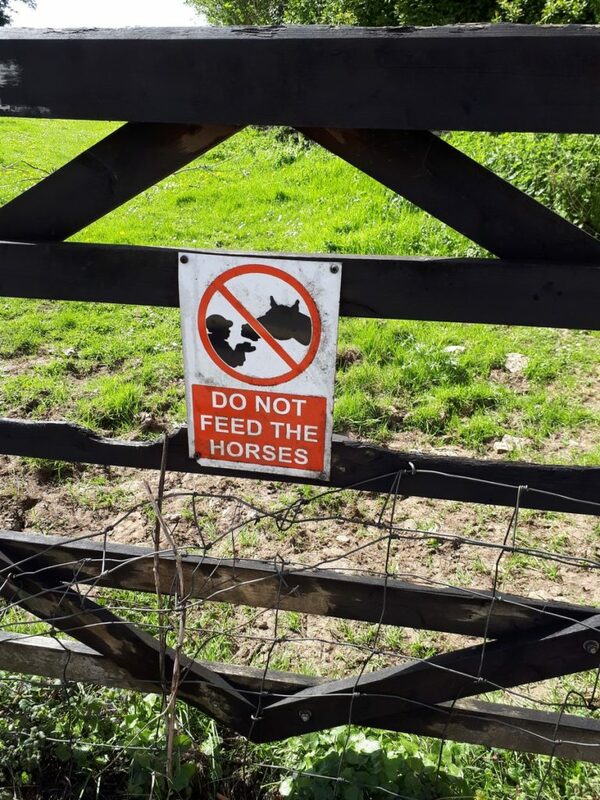 The National Trust rents out most of the properties to tenants, including the pubs and shops, and all those who live in the village agree to live for the most part in the past – there are (almost) no modern day signs, street lights, aerials, etc. 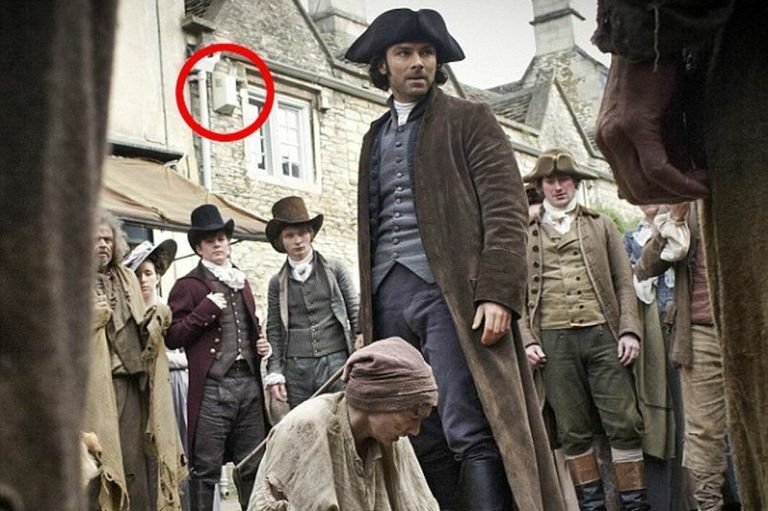 Therefore, it’s easy to see why production companies love Lacock; there’s almost no chance of making filming bloopers, as happened when Poldark was filming in Corsham, above. 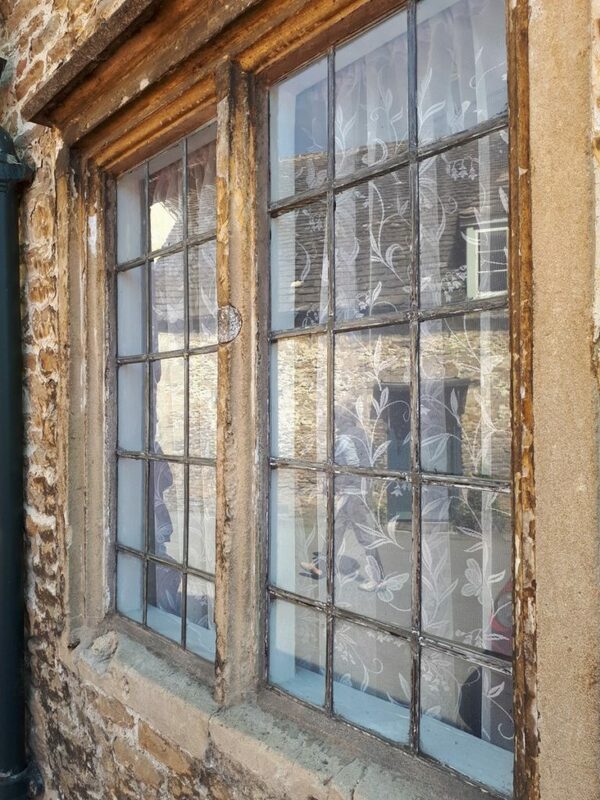 As you’ll see by the photos I took on the day below, there really are (almost) no modern day intrusions at Lacock, even when there’s no filming going on. 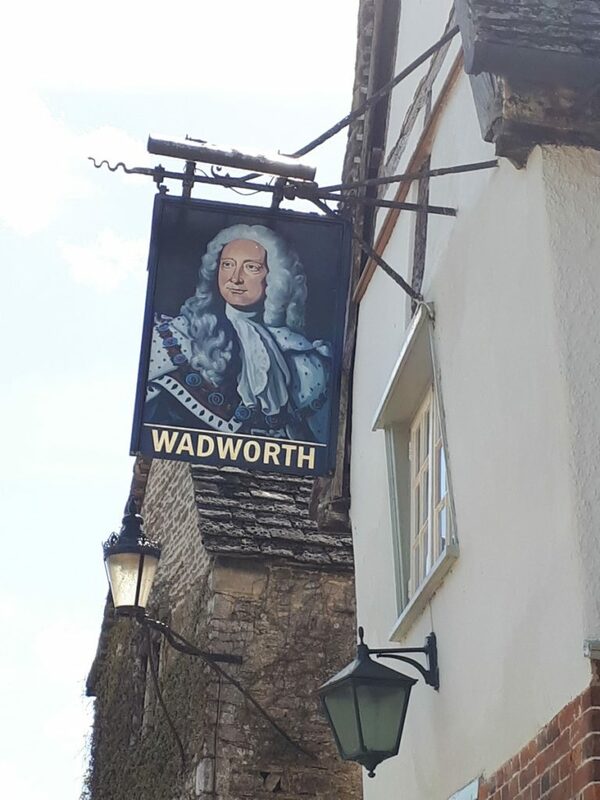 We had a wonderful pub lunch at the atmospheric George Inn, above, which has one room filled with photos taken during the filming of the various productions shot, at least in part, at Lacock. 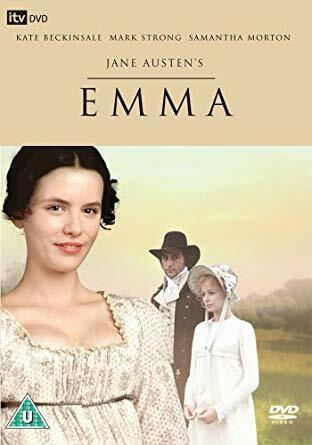 The BBC’s 1995 production of Pride and Prejudice, made a star of Colin Firth, but Lacock put in a strong supporting role as “Meryton,” the Bennett family’s (fictional) local town. 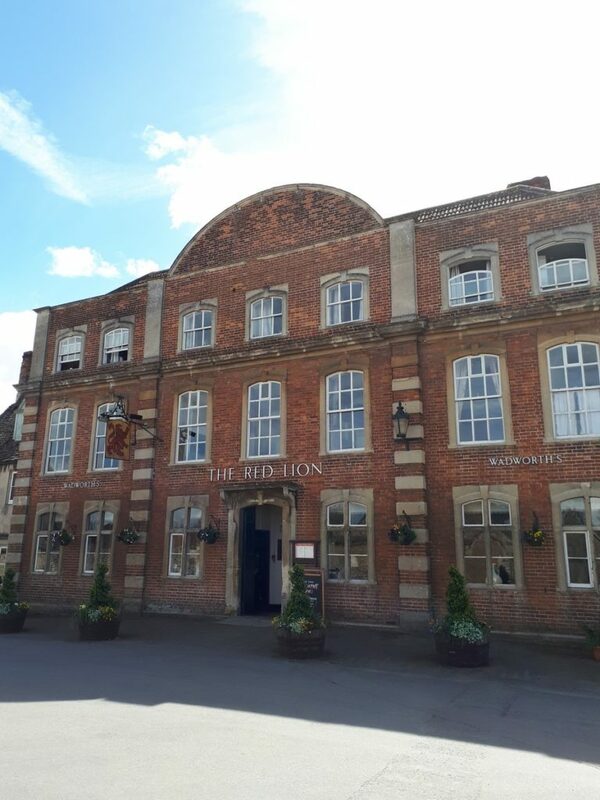 Another popular inn, restaurant and pub in Lacock, the Red Lion, has featured in many period films. 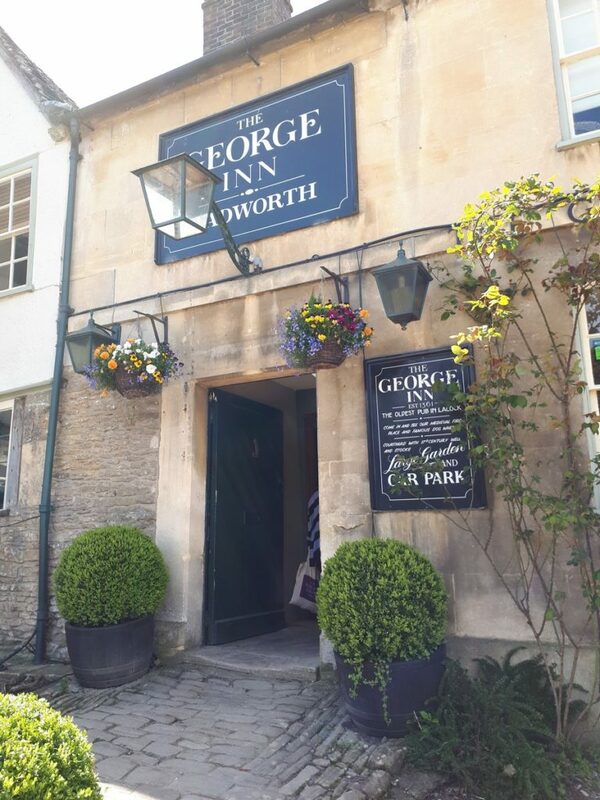 While we were there at the end of our visit enjoying a drink, the barmaid told us stories about the filming of Pride and Prejudice. 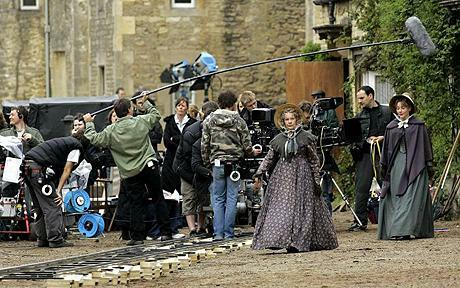 Costumed stars and extras spent several weeks filming at Lacock. 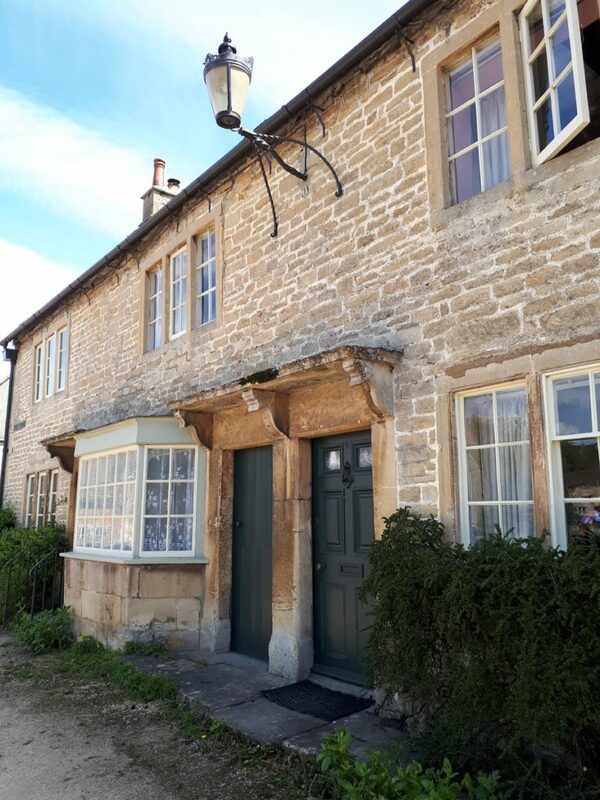 One warm day, a costumed gentleman was leaning up against the outer wall of the pub and our barmaid opened a window, leaned out, and inquired whether the gentleman would like a cool drink. He accepted and they got to talking and chatted for a quite a while before he was called to the set. 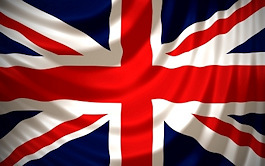 You guessed it – that very nice looking chap was Colin Firth who, at that point in time, was neither a household name nor an actor anyone had yet seen very much in film or on telly. 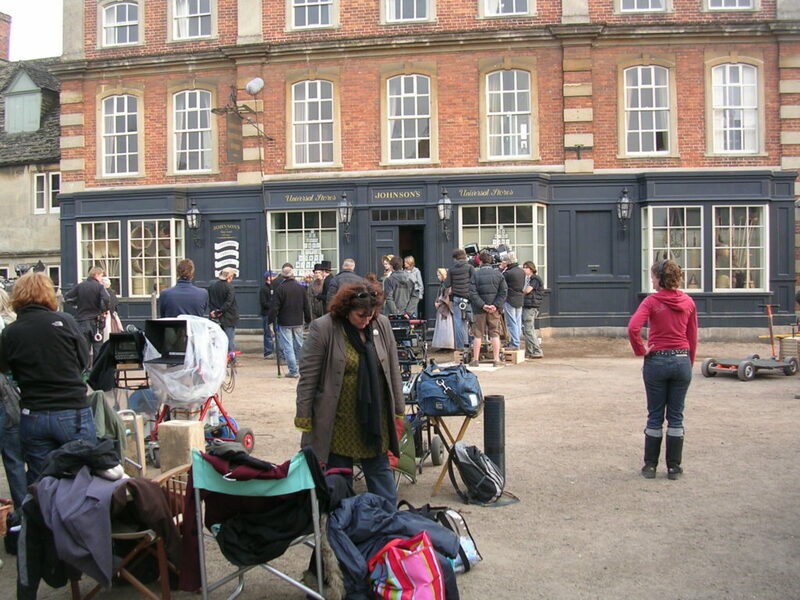 The Red Lion went on to be transformed into a storefront for the popular BBC series The Cranford Chronicles, starring Judi Dench and Eileen Atkins. 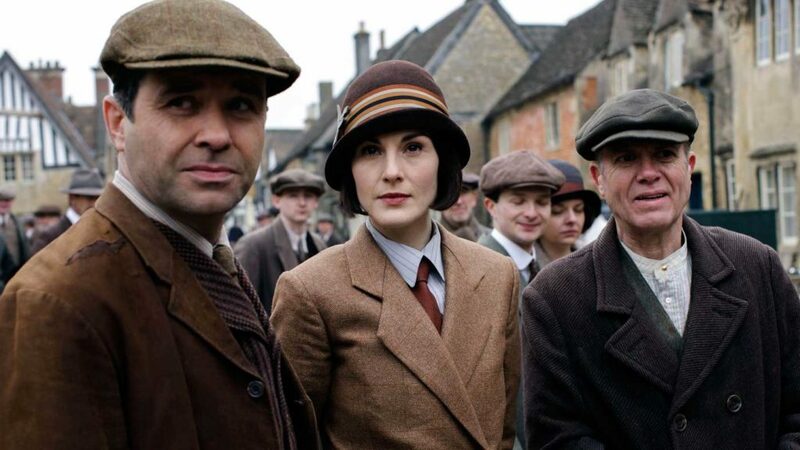 Fans of the series will recognize the building’s red brick and white windowpanes even without the transformation, and many of the adjacent houses were also used in filming. 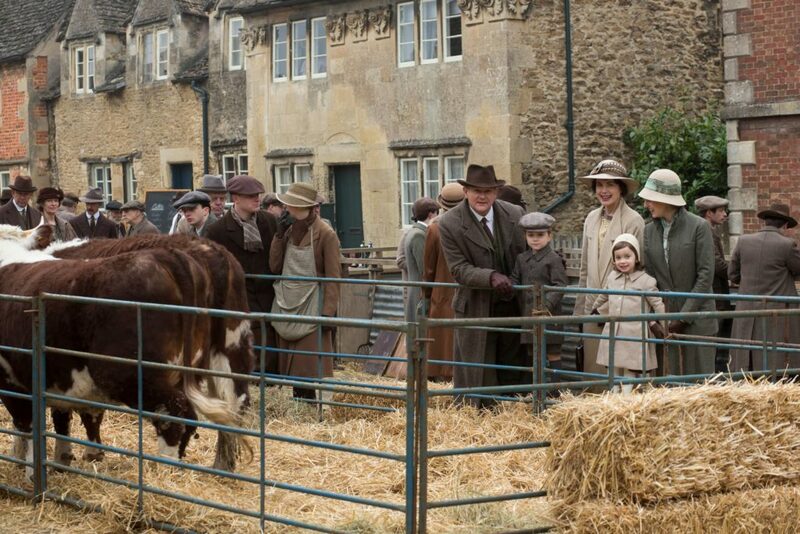 In February 2015, the Downton Abbey crew transformed Lacock’s Church Street into a 1920’s livestock market. 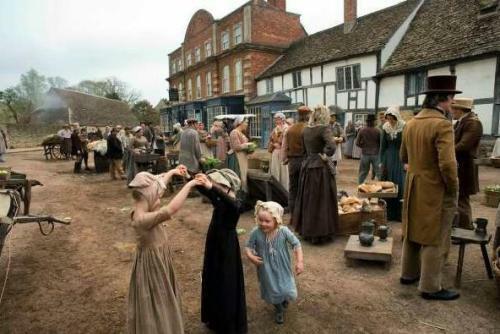 Sheep, pigs and a 1-tonne long-horned bull joined the cast, as well as many ‘extras’, creating a bustling market scene attended by Lord Grantham, his family and many of the staff. Previous Previous post: DO YOU KNOW ABOUT DETECTOR LOCKS?